The recently formed electronic music duo ‘SYLK’ invited me to create visuals in an abstract style. 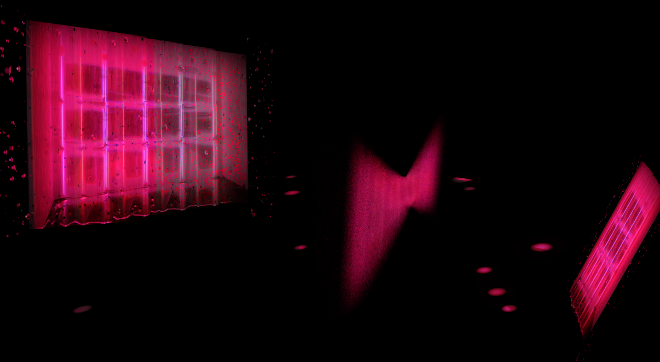 The brief for ‘In the Dark’ was to create a type of neon pink nightclub scene. The visuals are based on the manipulation of a photograph of a neon light to build complex layers and textures. Along with synthetic imagery, a 3D world was created using 3D layers in ‘After Effects’ and is set to one of their music tracks.